The Sept. 9 Billboard charts released Tuesday show Kesha's Rainbow, featuring the Dolly duet "Old Flames (Can't Hold A Candle To You)," remained popular in its second week of release. Last week's No. 1 album in the U.S. loses four to No. 5 on the Hot 200 all-genre pop albums, digital albums and Canadian pop albums lists, five to No. 6 internet albums, three to No. 4 current albums and album sales and 21 places to No. 24 Tastemakers. PTX Vol. IV: Classics, featuring Pentatonix's Grammy-award-winning collaboration with Dolly on a cover of her "Jolene," re-enters the top 100 current albums chart at No. 88. The 16th Annual Tonic Ball to benefit Second Helpings hunger-relief charity in Indianapolis has announced it will celebrate the music of Dolly at the Nov. 17 event. Five Fountain Square venues will host bands performing the songs of specific legends: James Brown at the Hi-Fi, Simon & Garfunkel at Fountain Square Theatre, The Cure at the White Rabbit Cabaret, Wilco at Radio Radio and Dolly at The Pioneer. Tickets, $50 each, are on sale at Tonicindy.com. Read more from The Indianapolis Star here. Last week, the main story for one day on the front page of online magazine Slate criticized Dolly's Dixie Stampede dinner theatre for what she saw as its glorification of the Civil War, prompting numerous clickbait re-tellings from right-wing websites condemning the story. Over the weekend, the No. 2 story on the front page of competing online magazine Salon was a piece praising Dolly as the originator from whom sprang all of today's pop princesses such as Lady Gaga, Beyonce, Kesha and more, as well as being one of the nation's most undercelebrated philanthropists. Read that article here. By the way, the only apparent response that Dolly or her dinner theatre has had to the controversy was the above Facebook posting here Saturday asking fans to share the photo if they like the show's patriotic finale. Dolly has submitted a song for the 1927 Jubilee record celebrating the country music discovery recording sessions from Bristol, Tenn., in that year, The Bristol Herald Courier reported here. Her cousin, Richie Owens, is one of the project leaders and convinced her to submit the song "Something More," which she has never recorded but used briefly in her Lumberjack Adventure dinner theatre prior to its transformation into her Smoky Mountain Adventure dinner theatre. Kesha's Rainbow, featuring the Dolly duet "Old Flames (Can't Hold A Candle To You)," loses four spots in its second week on the Australian albums chart to No. 7, it was announced Sunday. Dolly on Wednesday night was honored at the Academy of Country Music Honors ceremony from Nashville with the Gary Haber Lifting Lives Award for her humanitarian work. Brad Paisley introduced her by performing an acoustic version of "My Tennessee Mountain Home." Dolly recognized her team with the Dollywood Foundation for their help with her Imagination Library literacy program and the My People's Fund for Smoky Mountains wildfire recovery. She encouraged the public to visit the mountains, proclaiming they're open for business. The ceremony is slated to air at 9 p.m. Eastern Sept. 15 on CBS, and although a Sept. 29 date had previously been given for release of her children's CD, Dolly said from the stage it was coming out on the broadcast day. Photos of the event, including the one at left courtesy Getty Images for ACM, are available in a gallery here. Coverage of the ceremony made The Los Angeles Times here, CMT here, the AP via The San Francisco Gate here, The Tennessean here and the U.K.'s Daily Mail here. Dolly on Thursday and Friday got dragged into the Confederacy debate with a writer from Slate writing the day's lead story about visiting her Dixie Stampede dinner theatre. The reporter severely criticized several aspects she saw as negatively romanticizing the Confederacy. The article set off a firestorm on both the political left and right. Even one alt-right news outlet used the piece as clickbait claiming the reporter is a Black Lives Matter protestor (although I found no evidence of that) and that Dolly had replied saying the Smokies were open for business and people should visit � although that statement was uttered by her several hours BEFORE the story was posted. The story argued there's much more Civil War-themed in the theatre than actually is. In fact, in recent years basically ALL Civil War references in the show have been eliminated except gray being the core color the staff on the south side wears and blue the core color for the north. (In recent years, the theatre took to no longer calling their teams "the Union Army" and "Confederate Army" and instead uses the terms "Northern competitors" and "Southern Competitors.") She also seems to completely miss the show's closing theme of unity and love. Read the story here. Kesha's Rainbow, featuring the Dolly duet "Old Flames (Can't Hold A Candle To You)," slips 29 places in its second week on the U.K. albums chart to No. 33. Elsewhere on the tally, The Complete Trio Collection Deluxe holds steady on the British country compilation albums chart to No. 4 in 50th chart week, it was announced Friday. On the same tally, Emmylou Harris' Original Album Series: Volume 1 (with two Dolly covers, one track with Dolly harmony and one track with Trio harmony by Dolly and Linda Ronstadt) gains six to No. 14 and Ronstadt's Original Album Series (featuring one Dolly cover and one track with Dolly harmony) falls off the top 20, down from No. 16. Dolly's Emmy campaign marched back to Variety again this week, with her appearing on a podcast for the magazine posted here Friday. Dollywood this week announced the upcoming retirement of the River Battle water ride, which will be replaced with a yet-to-be-announced attraction in a future season expected to be announced later this year. The attraction first opened in 2008 and will close permanently Sept. 4. Read more from WCYB here. As was expected, Kesha's Rainbow, featuring the Dolly duet "Old Flames (Can't Hold A Candle To You)," debuts this week at the top of several Billboard charts released Tuesday based on first-week sales of 117,000 album equivalent units (90,000 in traditional album sales and 27,000 track-equivalent sales and streaming-equivalent sales). The CD comes in at No. 1 on the Sept. 2 Hot 200 all-genre pop albums chart, digital albums, Canadian pop albums, internet albums, current albums and album sales; No. 3 Tastemakers and Australian pop albums; and No. 4 U.K. top albums. Emmy promotions for Dolly Parton's Christmas Of Many Colors: Circle Of Love continued over the weekend with an interview with Backstage here and an overview of the Best TV Movie category nominees from Deadline here. Photo from Dolly's Saturday afternoon park tour at Dollywood is copyright © 2017 T. Duane Gordon/www.dollymania.net. All rights reserved. May not be reproduced without prior written permission. Dolly was back at Dollywood on Friday to promote the park's remainder of the year. After a performance by the Kingdom Heirs, Dolly spoke for about two minutes about the fall festival and introduced a video about the new Great Pumpkin LumiNights and then returned to welcome on stage the actress who played her in the park's Little Engine Playhouse version of "Coat Of Many Colors," singing the famous song with her. She introduced the Parade of Many Colors, which performed Christmas songs, and then returned for a few more words about her upcoming children's album and to take a couple of questions from Dollywood Insider correspondents. All total, she was on stage about 18 minutes of the 28-minute media event. She announced that the remainder of her day would be spent taking employee photos at the park and her dinner theatres. She is expected to make additional park appearances, including a parade weather-permitting, on Saturday. Coverage is available from WLOS here, The Knoxville News Sentinel here, WBIR here, WATE here and Local 8 Now here. "I love fall in the Great Smoky Mountains," Dolly said during the event. "It truly is one of my favorite times of the year to come home. God's coloring book is in full display with the Great Smoky Mountains painted in reds and golds. I'm also really excited to be here to let you know about our brand new nighttime event we are adding for families in October called Great Pumpkin LumiNights. You know, people from all around the world know us for the millions of twinklin' lights we put up at Christmas time. Well, when guests see thousands of these glowing pumpkins all lit up in Timber Canyon, they're going to have that same special feeling. We think Great Pumpkin LumiNights will become just as popular with families as our Smoky Mountain Christmas festival. I'm pretty sure there will be a lot of new family traditions made this October!" Dollywood's Harvest Festival runs Sept. 29 to Oct. 28 and features Southern gospel entertainment during the day and the new Great Pumpkin LumiNights after dark. This season marks the first time the Smoky Mountain theme park has opened every day�and stayed open after dark�during its family-favorite harvest event. A Smoky Mountain Christmas follows Nov. 4 to Jan. 1. "I just love Christmas at Dollywood, and I know you all do too," Dolly said. "The Parade of Many Colors is back this Christmas, along with seven holiday shows and four million beautiful lights. We even have Rudolph and his friends back for another year of creating family memories. It will be a November and December to remember!" Fans have clamored for it for a while, and Miley Cyrus announced Thursday night she's giving it to them: a duet with godmother Dolly will appear on her upcoming CD, Younger Now. The Sept. 29 release will feature Dolly on the track "Rainbowland," according to the track listing Cyrus released this week. Get your copy here! Although sales numbers won't be final for a few days, Kesha's Rainbow, which features a Dolly duet on "Old Flames (Can't Hold A Candle To You)," is expected to debut at No. 1 on the pop albums chart next week with between 100,000 and 120,000 units in its first week of sales, Billboard reported here. In advance of the Sept. 17 Emmy Awards, Dolly's promotions for her nomination as Best TV Movie for Dolly Parton's Christmas Of Many Colors: Circle Of Lovecontinued this week with a podcast appearance at Gold Derby here and an interview with The New York Times here. In both pieces, she said she hopes to present an award with fellow nominees Jane Fonda and Lily Tomlin, who have acting nods for their Netflix series. The Complete Trio Collection Deluxe this week loses one on the British country compilation albums chart to No. 4 in its 49th chart week, it was announced Friday. On the same tally, Emmylou Harris' Original Album Series: Volume 1 (with two Dolly covers, one track with Dolly harmony and one track with Trio harmony by Dolly and Linda Ronstadt) loses three to No. 20 and Ronstadt's Original Album Series (featuring one Dolly cover and one track with Dolly harmony) holds steady at No. 16. 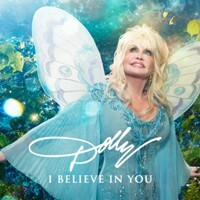 Dolly on Tuesday revealed the release dates, cover art and track listing for her long-anticipated children's album, I Believe In You. As was previously reported here, the project will benefit her Imagination Library early childhood literacy project and feature songs from her Imagination Playhouse musicals at Dollywood which had previously been released under the same title in limited edition to attendees at the Imagination Library conference two years ago but will be available for sale to the general public for the first time plus three new songs. New information revealed Tuesday included a fourth new song, the removal of three songs from the previously-released version ("Friends," which had been written by Dolly, and "Always Choose To Be Nice" and "We Will Always Be Friends," both of which had been written by Brian Hall and Tom McBryde -- all songs on the new version were written by Dolly) and that the audio book bonus track included has changed from her I Am A Rainbow book to her Coat Of Many Colors children's book. The "new" songs are "Makin' Fun Ain't Funny," which she had made available for free download to those who had purchased the children's book, "Chemo Hero" and re-recordings of "Coat Of Many Colors" and "Brave Little Soldier." The project will be released on Dolly Records and RCA Nashville with a digital release Sept. 29 and physical CD release Oct. 13. The campaign for Emmy voters to support Dolly Parton's Christmas Of Many Colors: Circle Of Love for Best TV Movie landed Dolly interviews in two stories published Tuesday. Parade offered a Q&A with Dolly about the film here and Variety posted a piece on the number of biopics nominated this year which featured comments from both Dolly and Jennifer Nettles, who played her mother in the project. Read that story here. Dolly will be at Dollywood making appearances both Friday and Saturday, according to the park's website. Her previously-reported 11 a.m. Friday media appearance will be open to a limited number of public guests who receive first-come/first-served wristbands at the park's front gate that morning, and she is expected to do a park parade Saturday weather-permitting. Usually when she is on park she also pops in unannounced at some of the park's shows as well. Music news on Friday and over the weekend continued to be dominated by the release of Kesha's Rainbow with her Dolly duet on a cover of "Old Flames (Can't Hold A Candle To You)." Coverage included a story from Unicorn Booty here, a review from Uproxx here and a track-by-track from Kesha on NPR here. The Complete Trio Collection Deluxe this week loses one on the British country compilation albums chart to No. 3 in its 48th chart week, it was announced Friday. On the same tally, Emmylou Harris' Original Album Series: Volume 1 (with two Dolly covers, one track with Dolly harmony and one track with Trio harmony by Dolly and Linda Ronstadt) dips seven to No. 17, Ronstadt's Original Album Series (featuring one Dolly cover and one track with Dolly harmony) drops five to No. 16 and Harris' Original Album Series, Volume 2 (featuring one track with Dolly harmony and two tracks with Trio harmony by Dolly and Linda Ronstadt) falls off the top 20, down from No. 14. Dollywood announced Wednesday that Dolly will make an appearance at 11 a.m. Friday, Aug. 18, at DP's Celebrity Theatre to provide "a special glimpse of Dollywood's newest nighttime harvest experience, Great Pumpkin LumiNights. Dolly shares her vision for the event which she believes will become a treasured family tradition for guests." In addition, according to the media advisory, she will discuss the 27th Smoky Mountain Christmas festival and reveal details of a "personal" new project "which is very important to her." �No details have been released of any other park appearances over that weekend. The Harvest Festival runs Sept. 29-Oct. 28 and the Christmas fest Nov. 4-Jan. 1. Organizers of Nashville's Oct. 25 Kenny Rogers tribute on Wednesday released to the public via Ticketmaster what they say are the final block of tickets for the show which will feature his final duet performance with Dolly. The handful of newly-released seats were all premium seats costing $425 or more and a few remained available as of press time Wednesday night. Also, performers Reba McEntire, Chris Stapleton, Lady Antebellum�and�Wynonna Judd�were added to the concert, it was announced Wednesday. On ABC's Good Morning America Wednesday, singer Kesha gushed about recording "Old Flames (Can't Hold A Candle To You)" with Dolly, saying: "I consider her family now. That was like, the craziest thing in the world to me that she actually said yes to collaborating with me, I'm still not over it, so I'm just going to tell everybody about it forever." Watch the interview here, and get Kesha's album Rainbow on Friday. Music legend Glen Campbell succumbed to Alzheimer's on Tuesday and died at the age of 81. Among the outpouring of memorials and tributes was a video message from Dolly here and in the media player above in which she calls him "one of the greatest voices that ever was in the business." Dolly and Campbell appeared together many times, including co-hosting the 1978 television special 50 Years Of Country Music with her and appearing as a guest on her 1987-88 variety show, and he covered her "Light Of A Clear Blue Morning," for which she re-wrote a verse to make it a gospel song, on a 1991 album. Download the track here. Additional remembrances are available from Billboard here. Tickets for the Aug. 23 Ryman Auditorium ceremony for the ACM Honors, at which Dolly will receive Gary Haber Lifting Lives Award for her humanitarian work, go on sale to the public via Ticketmaster at 10 a.m. Central time Wednesday. Billboard magazine last week released another one of its critics' countdowns, this time looking at the Top 50 Country Love Songs of all time. Dolly takes the No. 26 spot with "Rockin' Years" with Ricky Van Shelton and the No. 1 position with her classic "I Will Always Love You." See the full list here. Kesha's new album, Rainbow, hits stores on Friday with its Dolly duet on a song Kesha's mother wrote. Entertainment Weekly gave the project an "A-" here, noting: "Still, whether she's belting forlorn country with Dolly Parton on 'Old Flames (Can't Hold a Candle to You)' or practicing the synth pop that made her a star ('Hymn'), her authenticity never flags." The Emmy Awards on Sunday released the official list of producers who received this year's nominations by name for their projects that are up for awards Sept. 17 confirming, yes, the nomination of Dolly Parton's Christmas Of Many Colors: Circle Of Love as Best Made for TV Movie will be in Dolly's name, bringing her official total of Emmy nominations to two (she was first nominated for Best Supporting Actress in a Variety Special in 1978 for Cher . . . Special). Gold Derby published the entire list here, which includes Dolly, Sam Haskell and Pamela K. Long as Executive Producers and Hudson Hickman as Producer of the film. Pulitzer Prize-winning playwright and Oscar-nominated actor Sam Shepard, who played Dolly's husband, Spud, in Steel Magnolias, passed away July 27 at age 73 from ALS and his death was announced last week. Dolly reacted in a statement, according to Rare Country here: "I was so sorry to hear of Sam's passing. What a nice man and what a great actor. I was honored to have him play my husband in 'Steel Magnolias.' Rest in peace, my friend." Dolly goddaughter Miley Cyrus told Cosmopolitan what it's like to have her as a godmother. Fox News reports here that she joked the best part was her wardrobe but then she added: "Seriously, watching the way she treats people with love and respect. Always a reminder to me and my family of what is important. Never let success change your heart." The Complete Trio Collection Deluxe this week holds steady at the British country compilation albums chart at No. 2 in its 47th chart week, it was announced Friday. On the same tally, Emmylou Harris' Original Album Series: Volume 1 (with two Dolly covers, one track with Dolly harmony and one track with Trio harmony by Dolly and Linda Ronstadt) rises one to No. 10, Ronstadt's Original Album Series (featuring one Dolly cover and one track with Dolly harmony) moves up one to No. 11 and Harris' Original Album Series, Volume 2 (featuring one track with Dolly harmony and two tracks with Trio harmony by Dolly and Linda Ronstadt) gains two at No. 14. Down Under, My Dear Companion: Selections From The Trio Collection by Dolly, Emmylou Harris and Linda Ronstadt falls back off the top 40 Australian country albums, down from No. 39 for a 42nd chart week since release, it was revealed Saturday.